SIR THOMAS TYLDESLEY, knight, a gallant commander in the service of Charles I. and II., during the civil wars, was the only son of Edward Tyldesley of Tyldesley and Wardley, esq., by Elizabeth, daughter of Christopher Preston of Holker esq., and born at the latter end of the sixteenth century (FN1). He was one of those cavaliers whose deeds were more suited to the pages of a romance than to those of history and who by their dauntless courage, have cast a halo round their cause. He embraced the profession of arms early in life, and was bred in the German wars, and on his return to England raised troops at his own expense at the beginning of the civil war, joined the king, and served as lieutenant-colonel with great distinction at the battle of Edge Hill. Colonel Tyldesley afterwards conducted the storming of the town of Burton-upon-Trent, in Staffordshire, over a bridge of thirty-six arches, for which daring enterprise he received the honour of knighthood from Charles I., and was made a brigadier. In May 1644, he was at the siege of Bolton, under the earl of Derby, when that town was carried, after a hot engagement. He afterwards commanded a division of the royal army at the siege of Lancaster Castle, and, having reduced the garrison to great distress, had nearly taken he place, when the intelligence of the defeat of the Scots at Preston arrived, and put an end to the assault. On quitting this latter design, Sir Thomas Tyldesley was obliged to fall back upon Sir Marmaduke Langley's cavalry and retire to the skirts of the county, with the view of joining Major-General Munro, who had followed the duke of Hamilton out of Scotland with part of the Scots forces, and to whom it was proposed that they should concentrate their strength, and follow Cromwell in the rear. 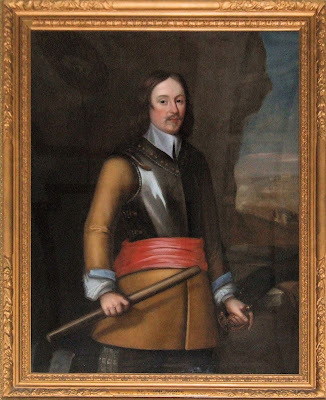 This however, Monro would not consent to, but retired further into Westmoreland.Sir Thomas was afterwards, in 1645, appointed governor of Lichfield. After the execution of Charles I. in 1649, he found means to transport himself into Ireland, and joined the marquis of Ormonde, with whom he remained, until, by the jealousy of the infatuated Irish, he and the other English officers were dismissed. From Ireland he got over to Scotland, a short time before Charles II. marched thence into England, and was ordered by that monarch to join the earl of Derby, as major-general and second in command, in mustering the forces of the counties of Lancaster and Chester. Warrants were issued for this purpose by the earl, and Preston was made head-quarters; but before the troops were got into a state of equipment, Lord Derby was surprised, and obliged to try the courage of his new levies against the cavalry and united militia of both counties, under the command of Colonel Lilburne, one of the best officers of the parliamentary army. This action was fought in Wigan Lane on the 25th of August 1651. Sir Thomas and a large portion of his brave associates, amounting to one-half, were left dead on the field. He was interred in the chapel of Leigh, where a tomb was erected to his memory, ol which only a few relics are now to be seen (FN2). A monument, commemorating his fall, was placed, in 1679, about a quarter of a mile to the north of the town of Wigan, in the hedge fence, on the spot where the engagement took place, and where he received his last wound. Sir Thomas was married, and left a son, Edward Tyldesley, esq,, living in September 1664, aged 29 and who had issue three children, Thomas, Edward, and Frances (FN3). The family, however, is now extinct (FN4). The device on the banner of Sir Thomas Tyldesley was an eagle (FN5) feeding her young (vulning), surrounded by a wreathed border, with this motto, "Regis et patriæ tantum valet amor." 1. Sir Thomas Tyldesley was baptised at Woodplumpton on 10 September 1612. The Dictionary of National Biography and other sources wrongly state that Sir Thomas Tyldesley was born in 1596—an error corrected in the recent Oxford Dictionary of National Biography. 2. The Parish Church of St Mary the Virgin, Leigh was subject to the usual Victorian vandalism, being largely rebuilt in the 1870s. Prior to this time, the chantry chapel of St. Nicholas, the Tyldesley Chapel, was situated at the east end of the north aisle. There are no obvious signs of the chapel remaining, but it is believed some of the roof timbers were reused, and a brass plate commemorating Sir Thomas Tyldesley and funded by subscription was inserted in the north wall at some point prior to 1889. 3. Edward Tyldesley was married twice and had at least five children—Thomas Tyldesley (the Diarist), Edward Tyldesley, Frances Tyldesley, Anne Maria Tyldesley and Catherine Tyldesley. 4. The report of our extinction was an exaggeration. 5. Eagle? EAGLE??!! A pelican, not an eagle!